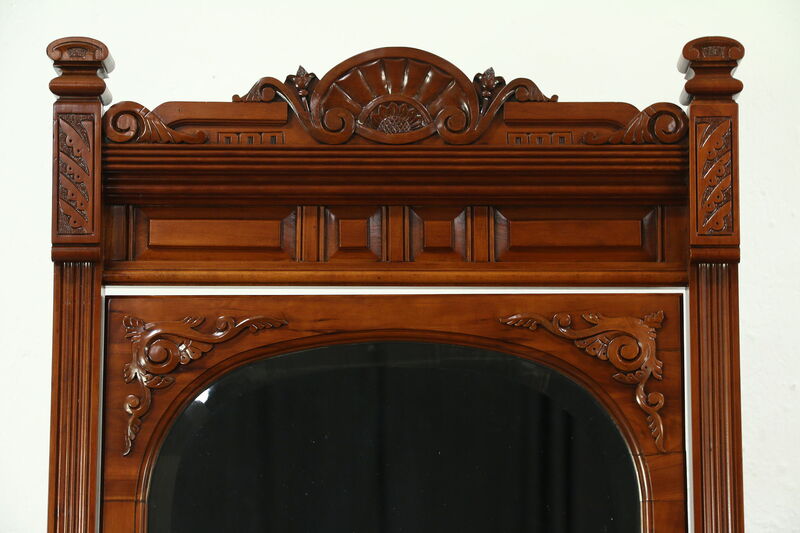 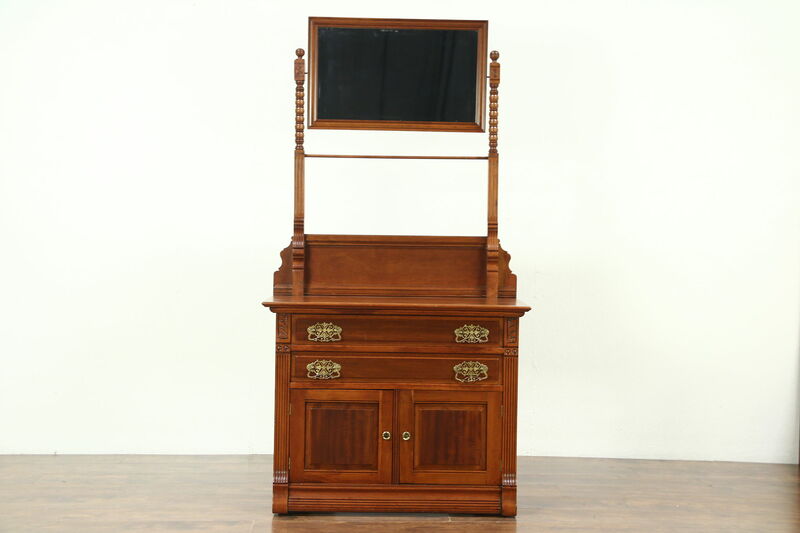 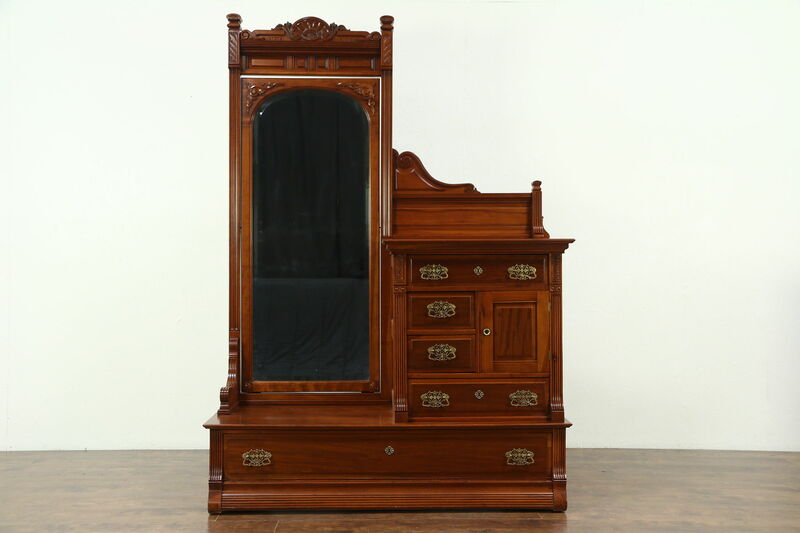 A spectacular Victorian period bedroom set from about 1885 was hand carved of solid cherry with mahogany raised panels, and includes a queen size bed, commode or nightstand with mirror and a combination chest and dressing mirror. 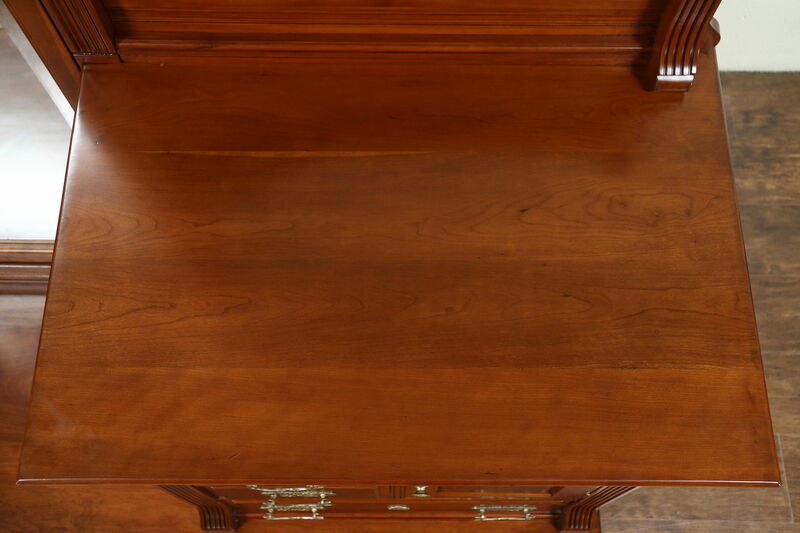 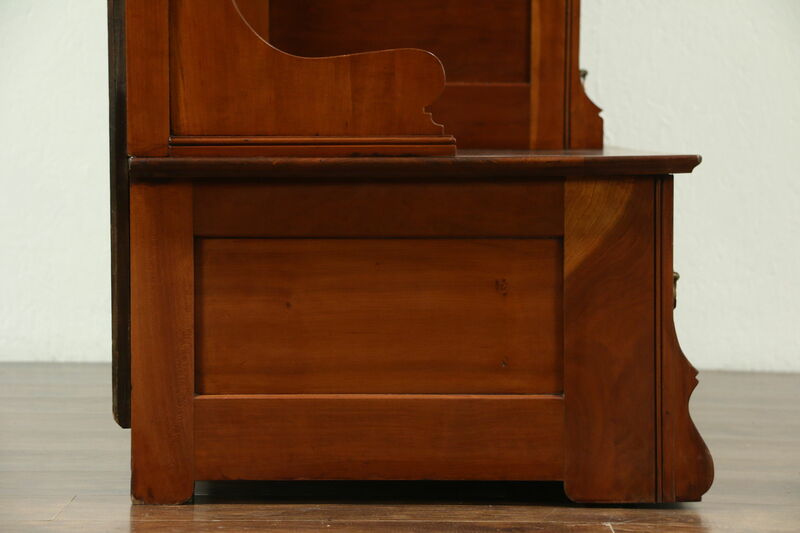 The restored gleaming finish is in excellent condition, preserving minor shrinkage separations for a little character on this American made antique set. 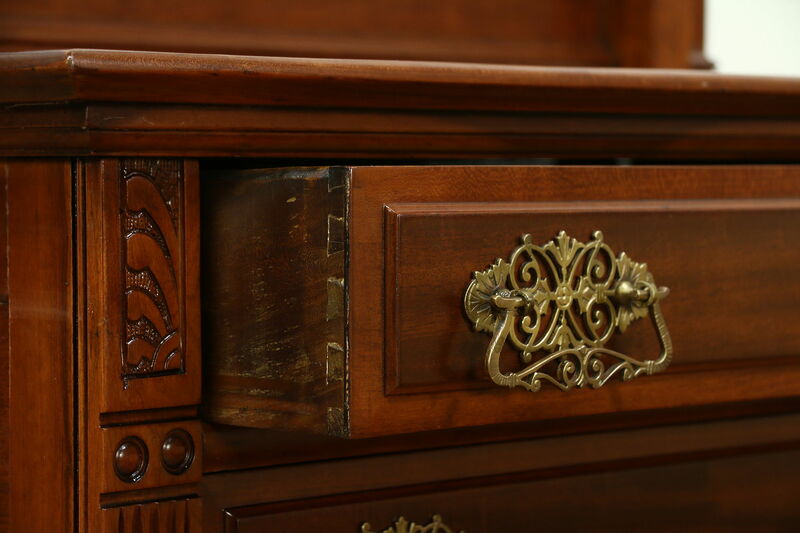 Drawers have solid oak sides with dovetailed joints and original beveled mirrors have a hint of "smoke" to show their age. 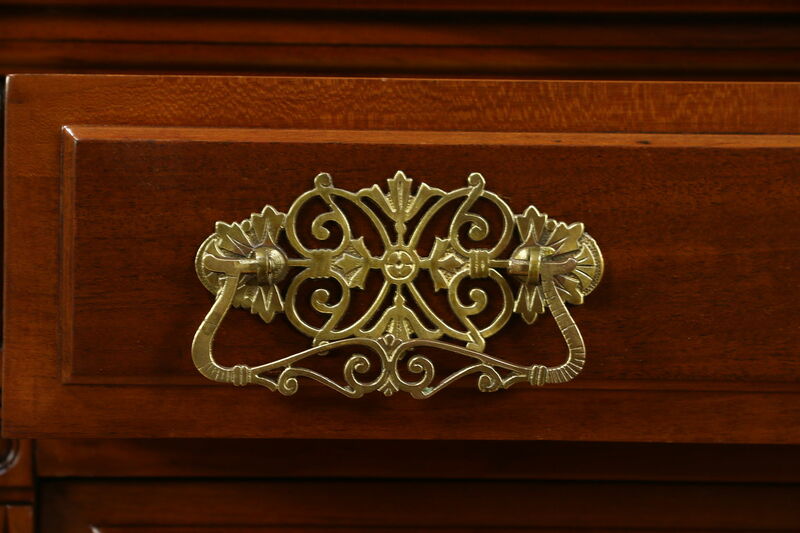 Solid brass filigree pulls are original. 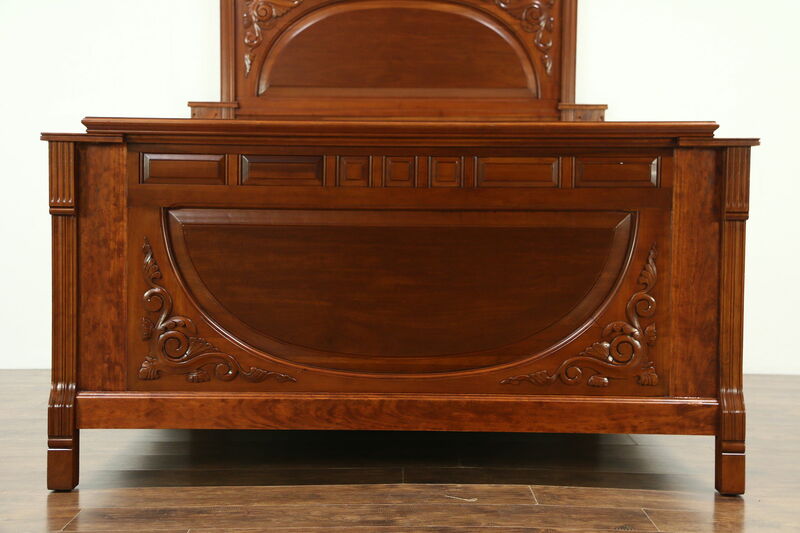 The bed has been expertly adapted to fit a standard modern queen size mattress and spring unit, the demonstrator set in photos is 18" thick together. 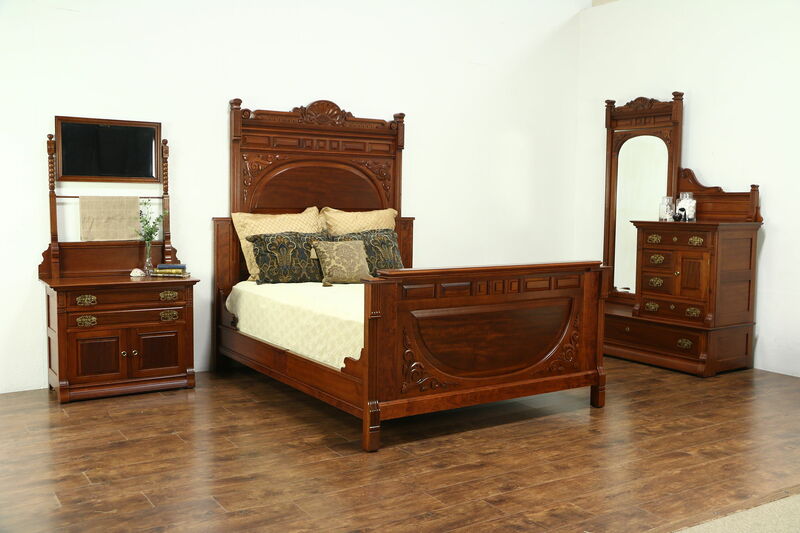 Wood cross support pieces are included. 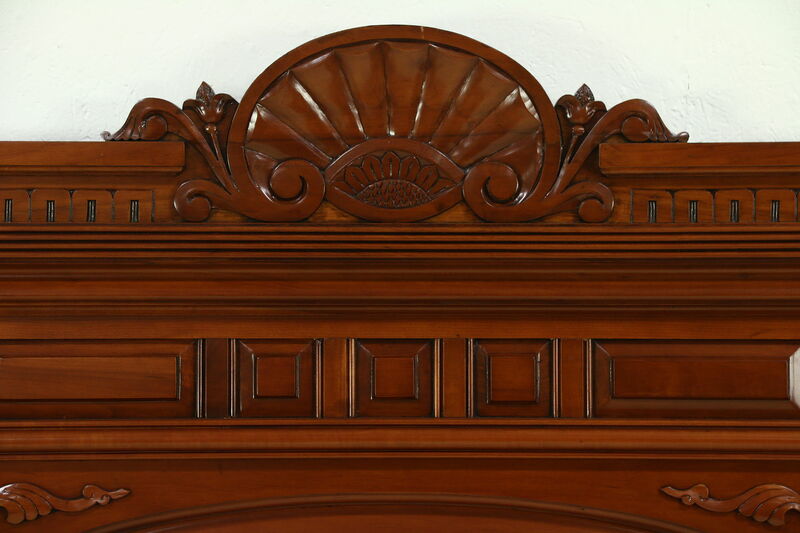 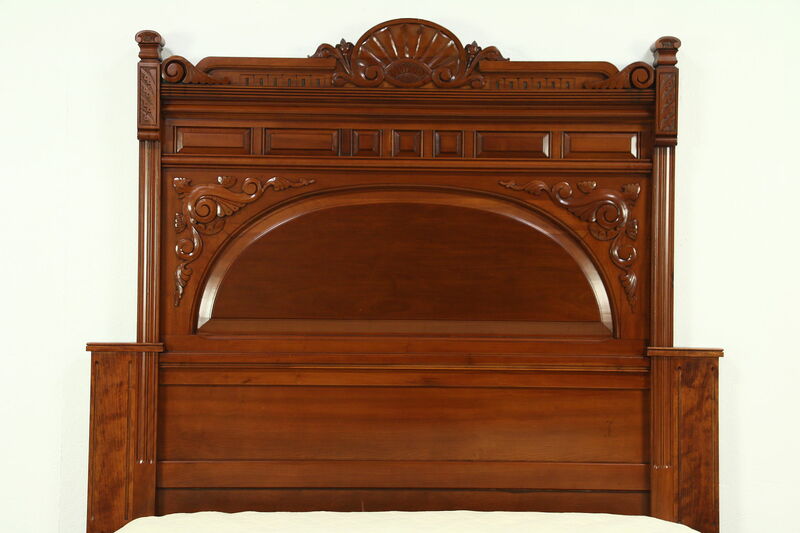 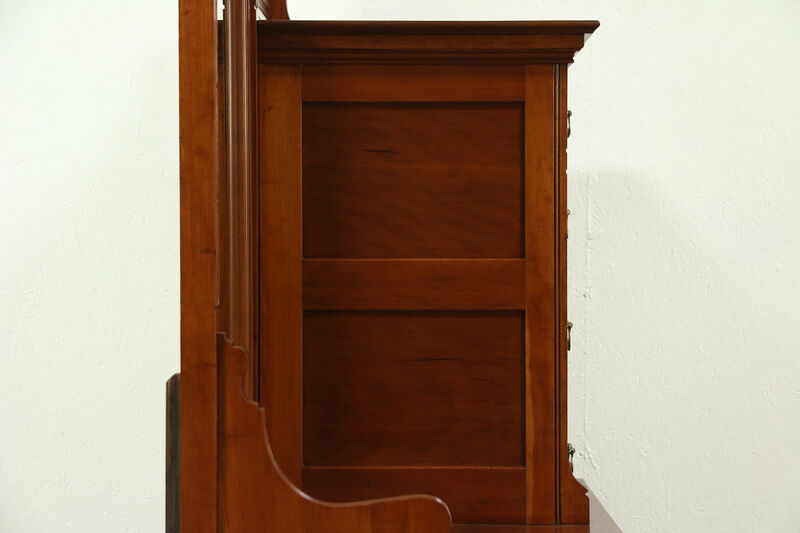 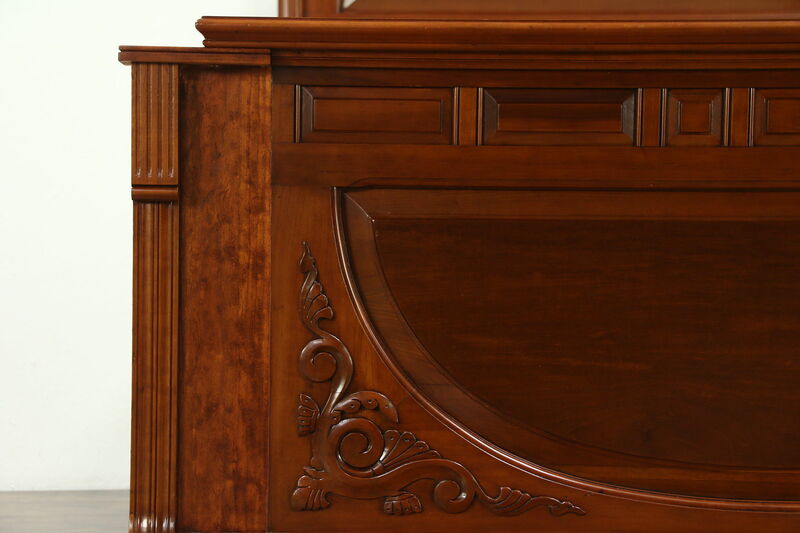 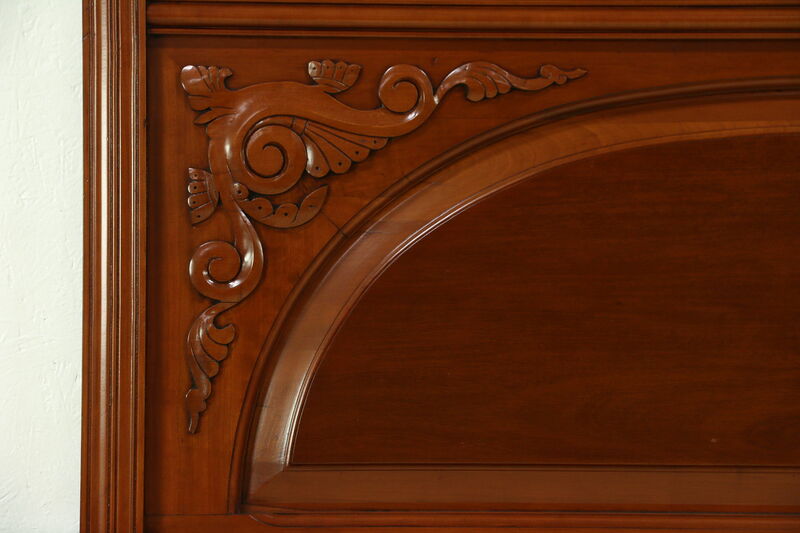 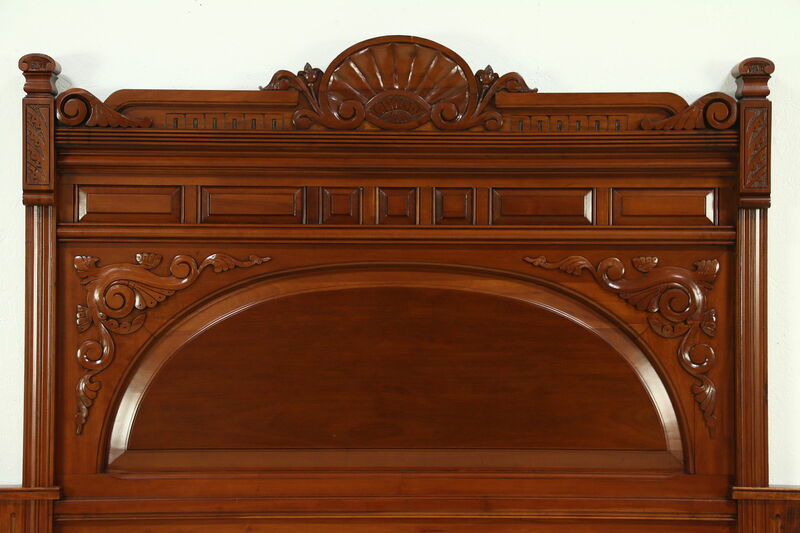 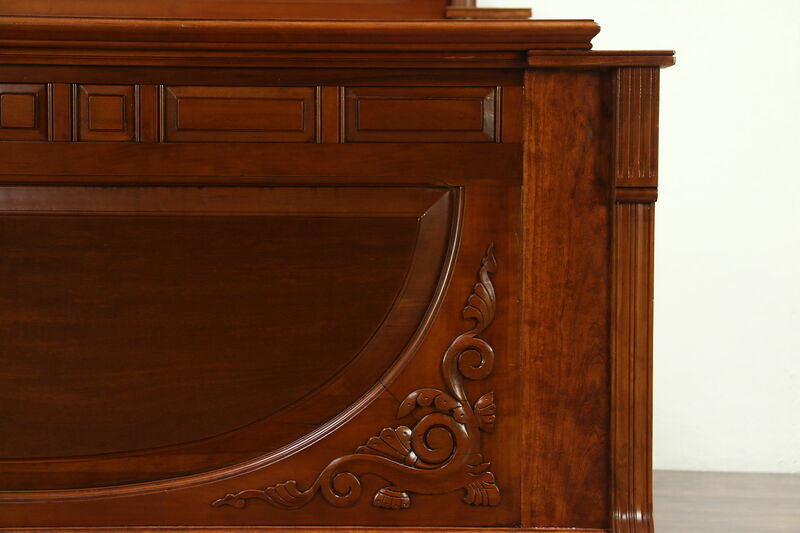 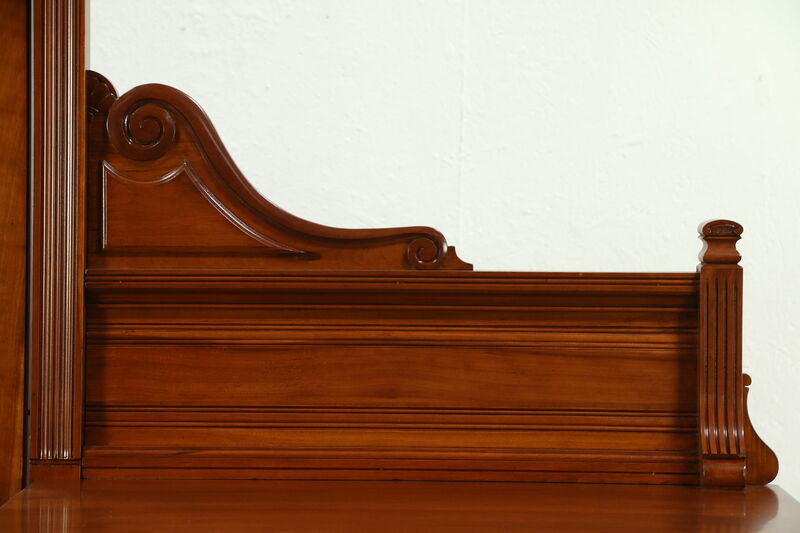 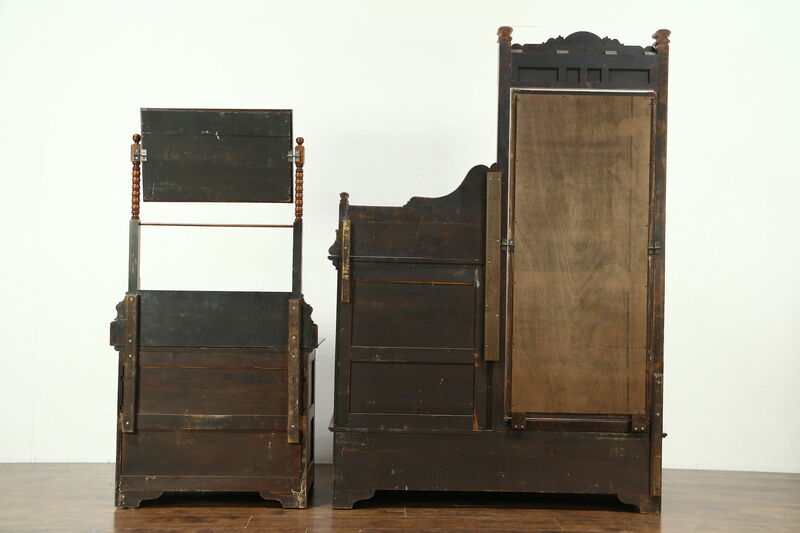 Size is 68" wide, 87" long, the headboard is 79" tall and the footboard is 36" high. 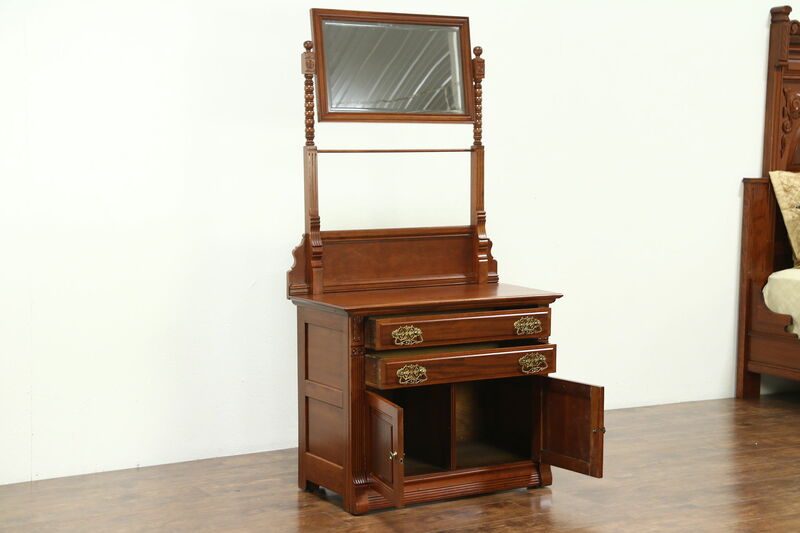 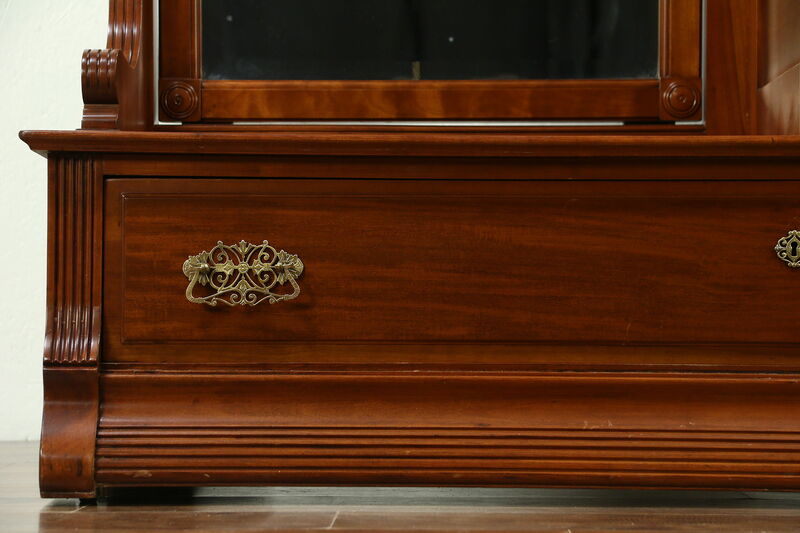 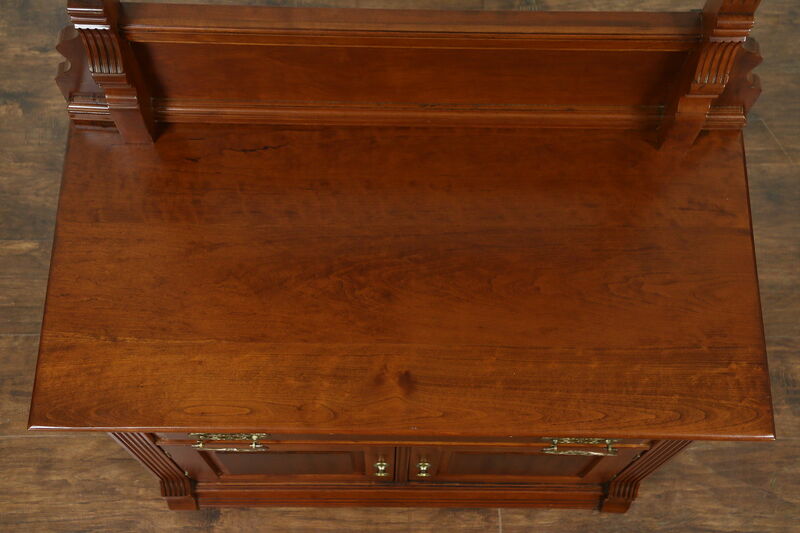 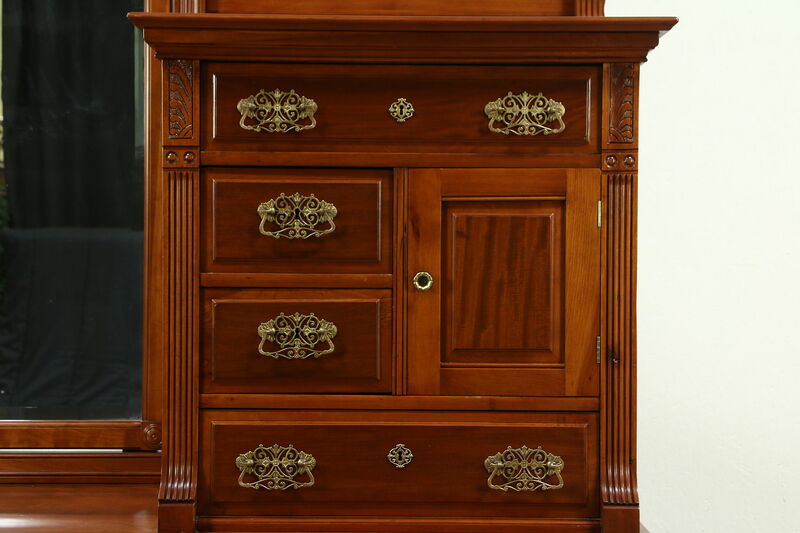 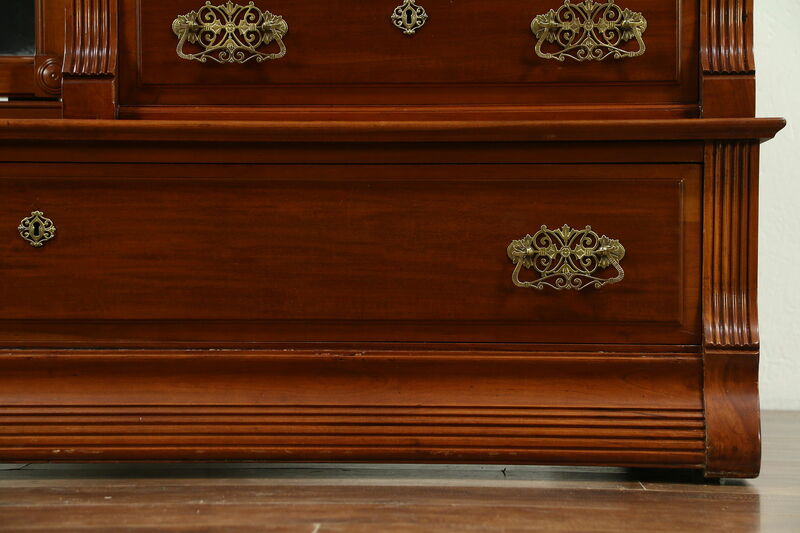 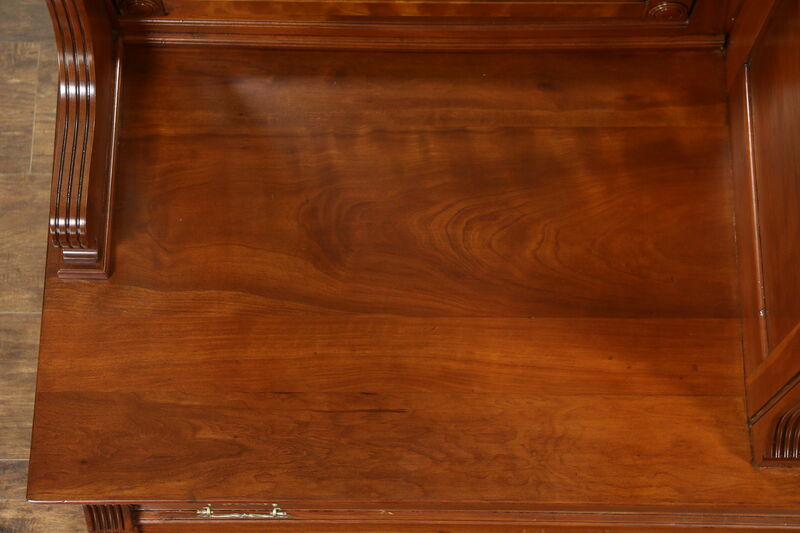 The dresser has a swivel shaped and beveled mirror, size is 5' wide, 23" deep and 7' 1" tall. 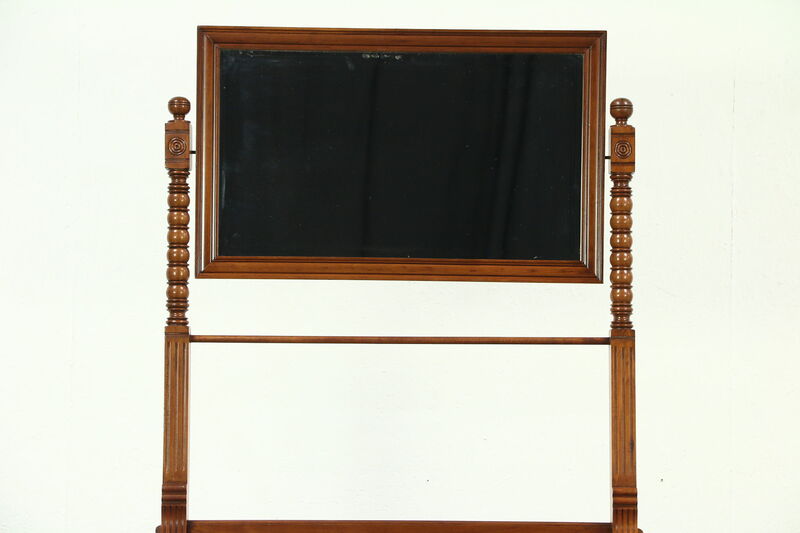 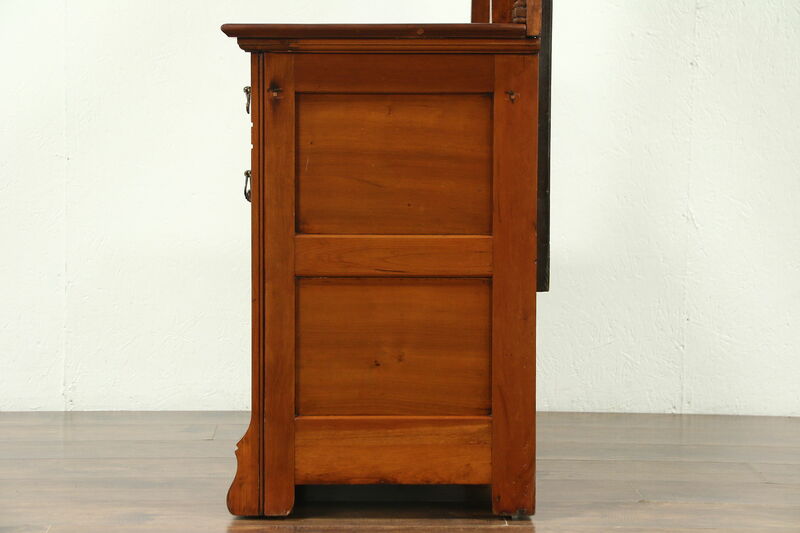 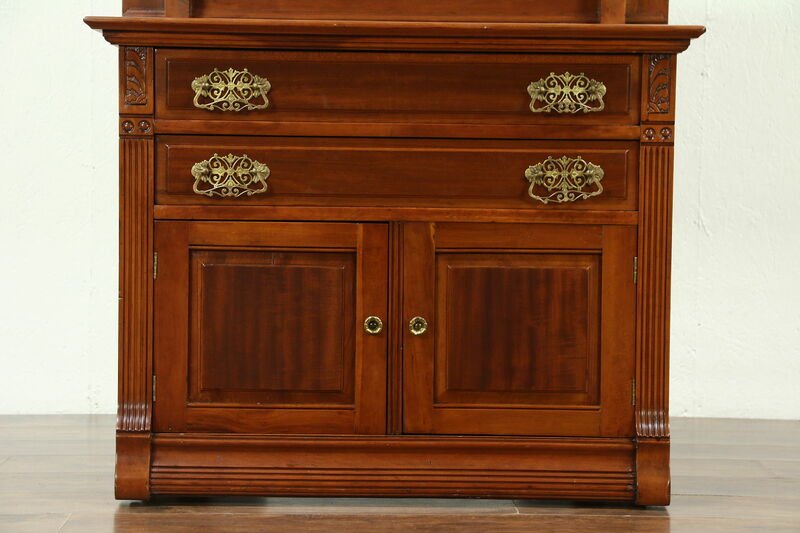 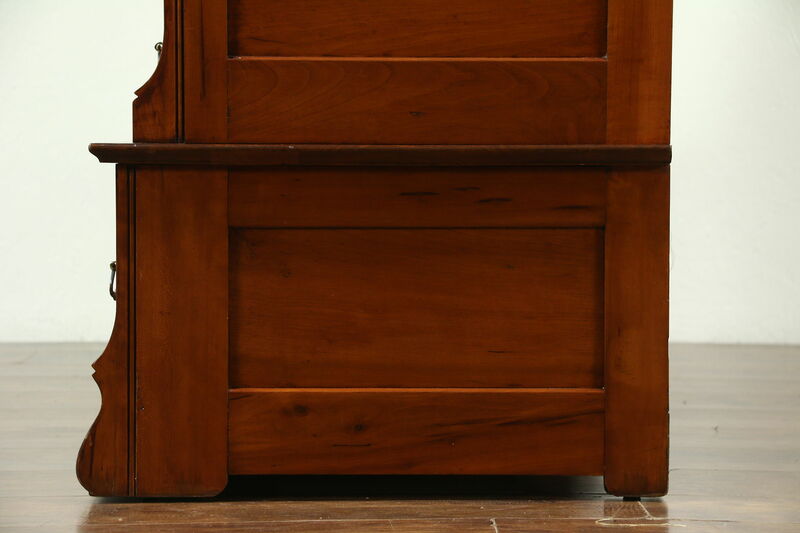 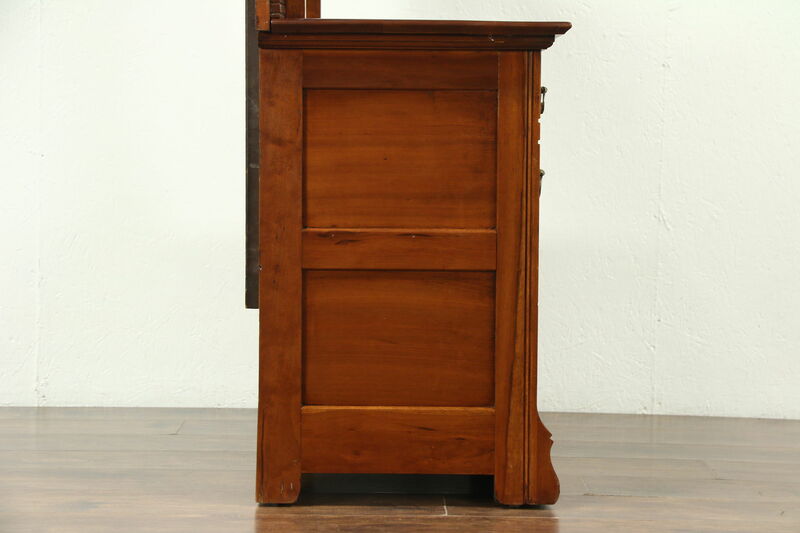 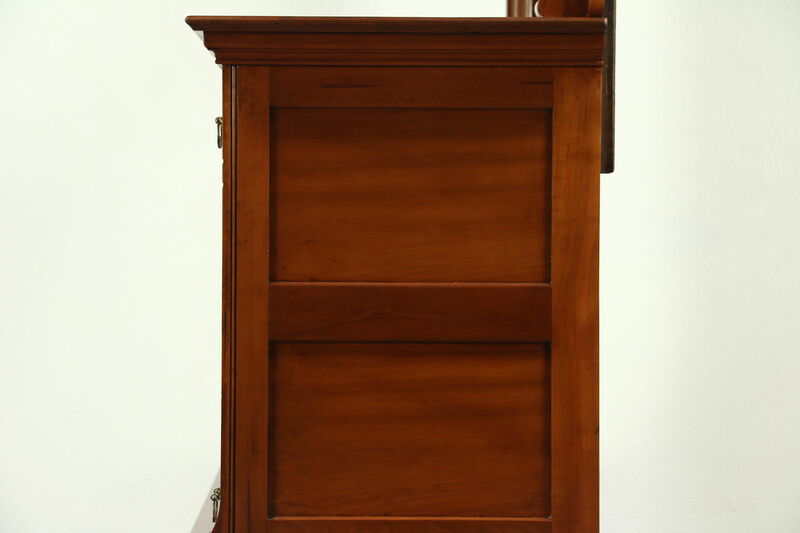 Dimensions of the small chest or commode with a towel bar and swivel mirror are 36" wide, 18" deep and 69" tall.